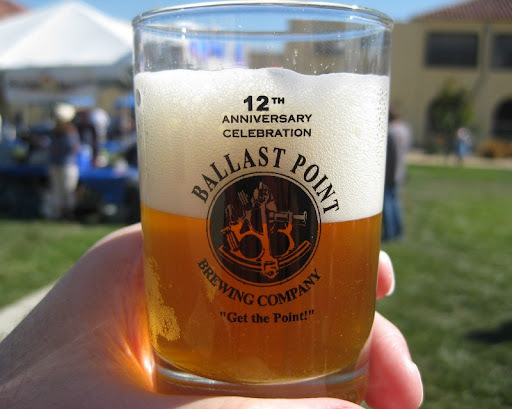 This coming Saturday, Oct 12th, Ballast Point Brewing Company is having had a party and beer festival to celebrate their 12th anniversary. 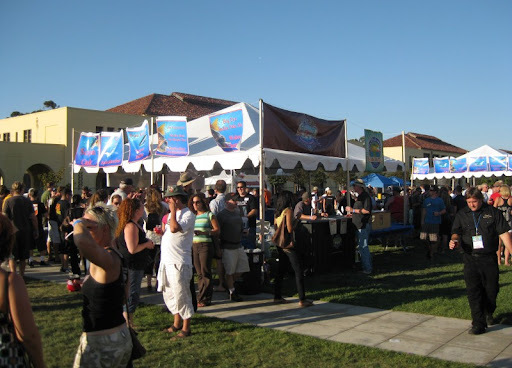 In addition to rolling out a bunch of special beers of their own, the rest of the San Diego brewers will be showing up with some of their stuff as well. The event is being was held at Liberty Station. More information can be found here. Tickets are were $35 online, or $40 at the door. Update: Fun festival. It was a perfect, sunny late October afternoon. For me, the star of the show was (not unexpectedly) the cask-conditioned Sculpin (pictured at the top of the post). I don't think I've ever experienced a better West-Coast hop aroma. Really good stuff. Lovely, especially with your weather. We're likely to have some wet snow before we kick off Syracuse Beer Week on Sunday when the anniversary we'll be celebrating is the upcoming 75th of the 21st amendment.